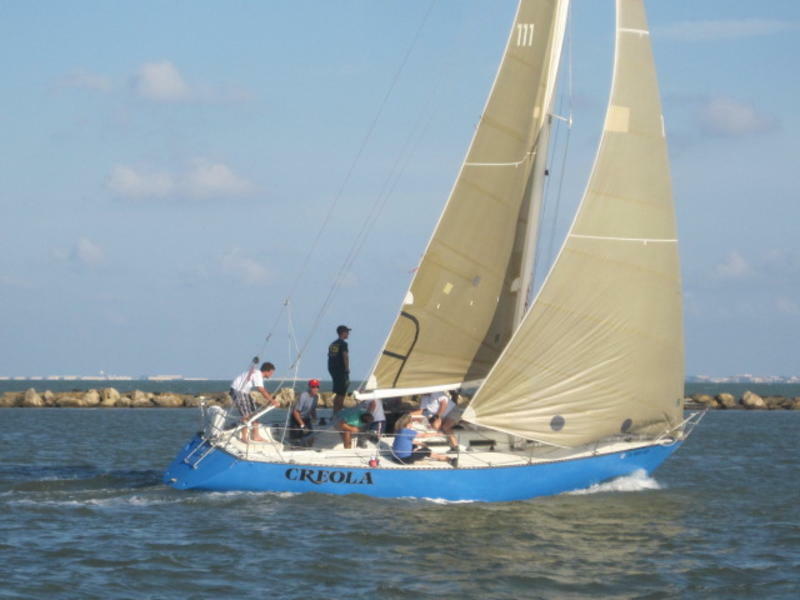 1980 Santana 35-Fully equipped for racing for bay and offshore. Hull custom faired in 2007 with Interprotect 2000 in 2007; keel and rudder faired to factory specs 2009 with hull repainted Royal Blue 2010; new electronics package 2010 (Tacktick); new custom aluminum mast, boom, rigging and new Yanmar 15HP engine 2011. 2011 Marine Survey available to interested parties. 2007-Quantum Fusion M Kevlar main, 155% heavy and 105% jib. Misc-2 dacron mains, 1.5 oz reaching spinnaker, tallboy staysail, dacron jib. Navagation-Garmin 3210 GPS with Nexrad interface. Electronics-TackTick wind direction/speed; speedometer with depth; digital compass with Suunto globe compass; Uniden VHF radio with masthead antenna and backup. Offshore- includes harnesses, man overboard equipment with horseshoe, EPIRB.